A YA contemporary fantasy follows four Wisconsin teenagers and their mission to save their community from ecological collapse. Davie Wyatt is a 15-year-old freshman in high school who is a self-described “second-generation astronomy geekmeister who loves animals.” His best friend, Carl, and his two cousins Melissa and Sharon volunteer at a local animal shelter. They’re good friends and spend most of their free time together. But when Davie shares a seemingly unbelievable story—about seeing a pair of badgers outside in the middle of the night, finding four green stones, and discovering a strange blue-green badger paw print on his palm after he touched the gems—the quartet of young adults becomes entangled in a magical quest. The group needs to save the badgers’ habitat from not only unethical fracking companies that are destroying the environment, but also poachers who are using the beasts for illegal animal fighting. As the intrepid amateur sleuths race to make sense of the metaphysical clues before a looming apocalyptic event that could happen in a few days’ time, they begin to understand the connectivity of all living creatures—from the sick fish in the lake to the sudden appearances of deer and bear in suburban areas to the communities in the area whose water supplies are being poisoned. This debut novel is a simultaneously entertaining and enlightening environmental tale that is powered by brisk pacing, endearing characters, and a fluid and utterly readable narrative. A highly appealing fusion of mythic fantasy and eco-thriller, the book delivers a dedicated, resourceful protagonist (“I feel sure we will make a contribution; a difference,” Davie says at one point. “I know with certainty we are partners with the badgers in a powerful, unfolding drama. Directed by a force beyond ourselves, we will play our parts”). This tale also asks an important question: if the young people of the world don’t become involved in saving the planet, who will? YA readers should initially be hooked by the authentic and identifiable characters and remain enthralled by the timely subject matter. 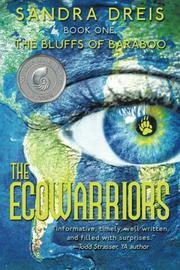 An engaging, lighthearted read that offers a profoundly powerful message about the environment.